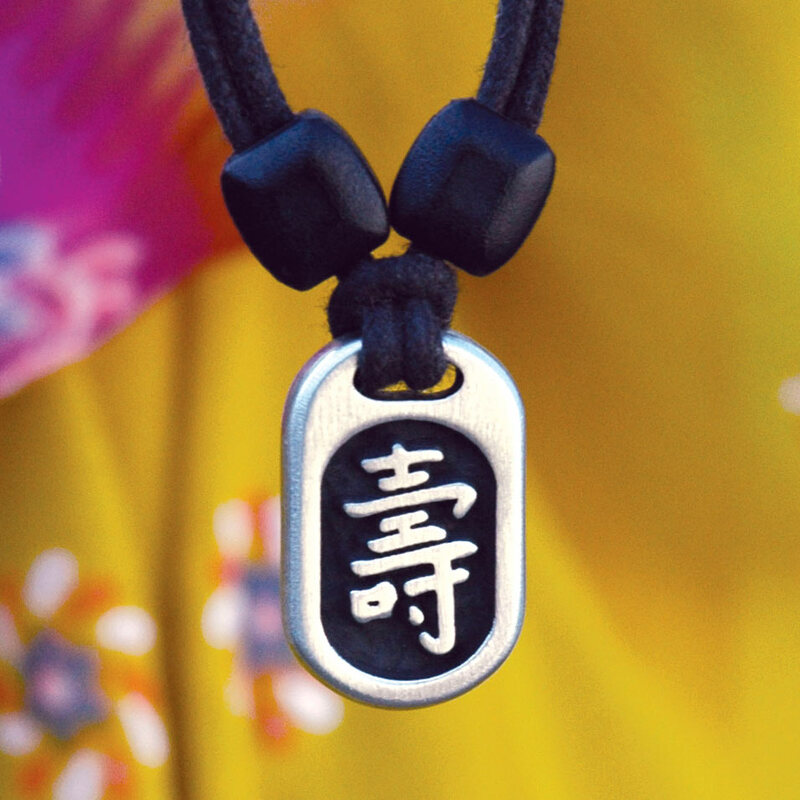 The Chinese character ‘SHOU’ symbolises long life. It is a combination of learning, working, accumulating and conversing. 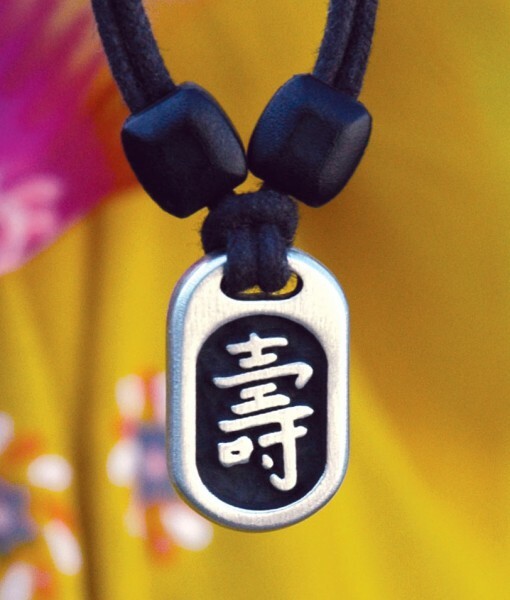 It is one of three famous Chinese wishes, ‘FU-LU-SHOU’ which represent happiness, prosperity and longevity. Adjustable “long life” pendant, cast in small batches from crown pewter. Just under 1 inch or 2.5 cm tall. Blackened, polished and finished with attention to craftsmanship. Comes on a black cotton cord with slideable slip grips. Comfortable, meaningful and inspirational. Made in Canada.